by Ed Rocha Author · Randy Clark Author of introduction, etc. When Ed Rocha started in healing ministry, he encountered a sad reality: not everyone he prayed for was healed, and not everyone who gets healed stays healed. Why? Armed with faith in the finished work of Christ, Rocha sought biblical answers. 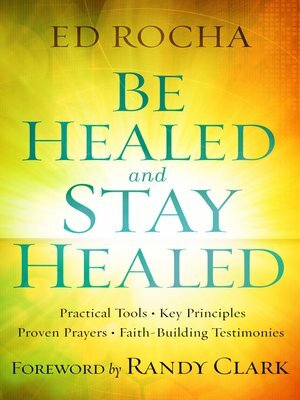 Now he shares practical, spiritual tools to help you move in God's power and see more lasting results when you pray.